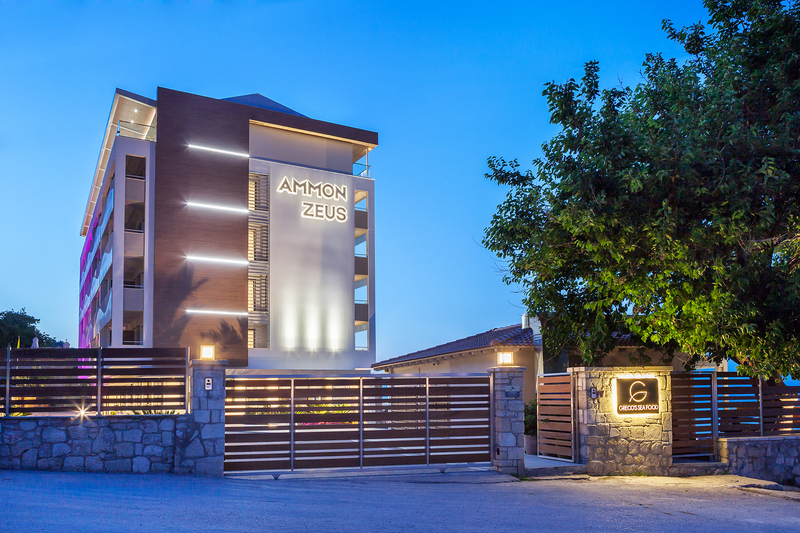 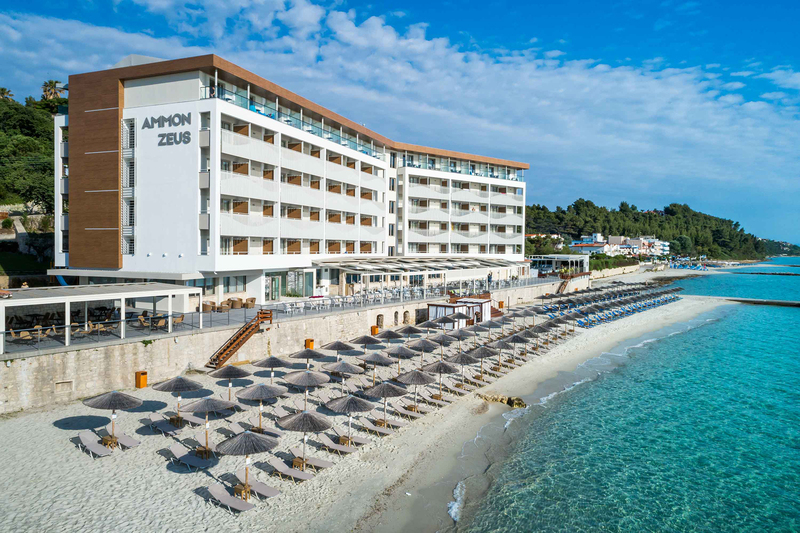 The “Ammon Zeus” Hotel is the first hotel build on the Kassandra peninsula, in Chalkidiki, in 1969. 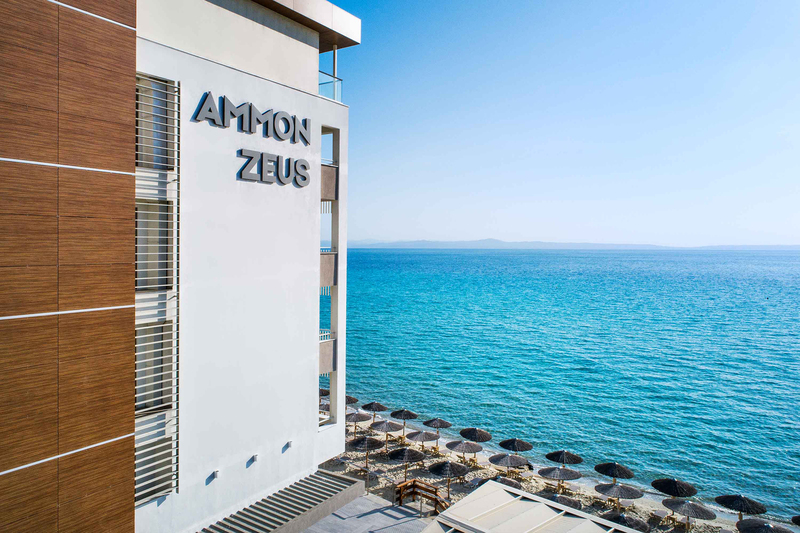 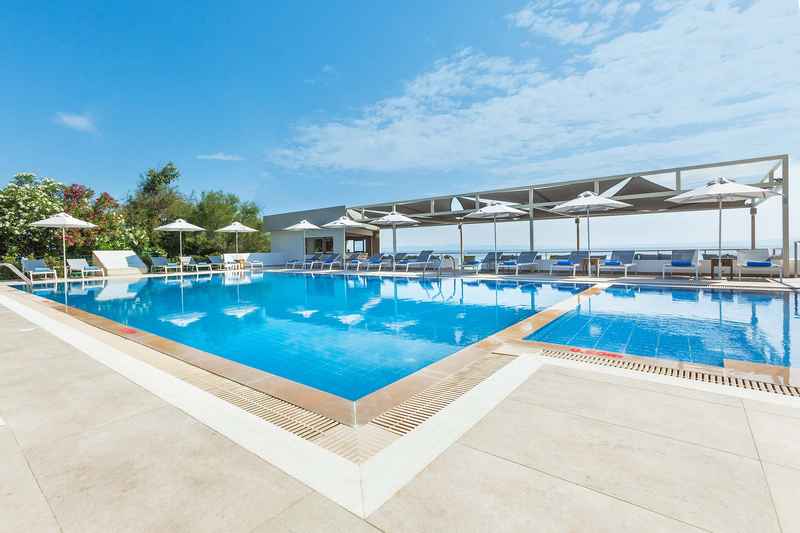 Located on the Kallithea beach, it consists of a ground floor and 5 upper floors. 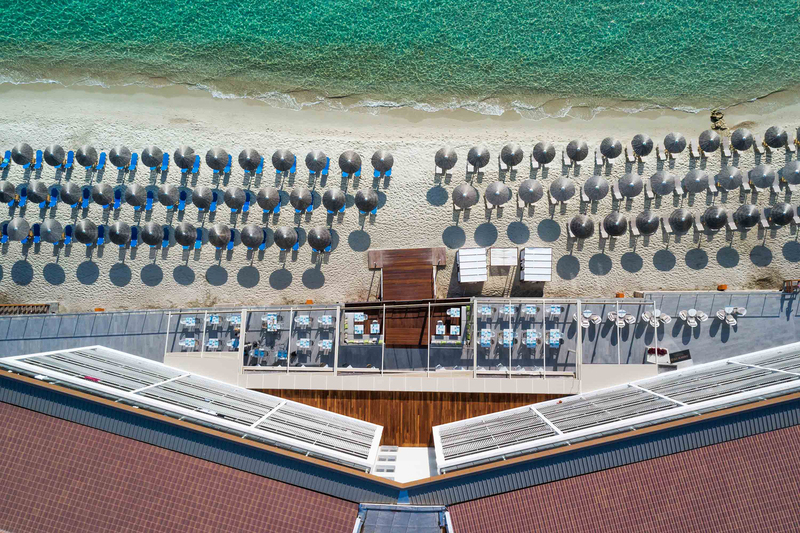 The study of the facades and the landscape concerns the complete redesign of the building’s skin and the reconstruction and aesthetic upgrading of the outdoor areas, such as the pool bar, the a la carte restaurant, the terrace of the main restaurant, the hotel entrance, the parking and garden. 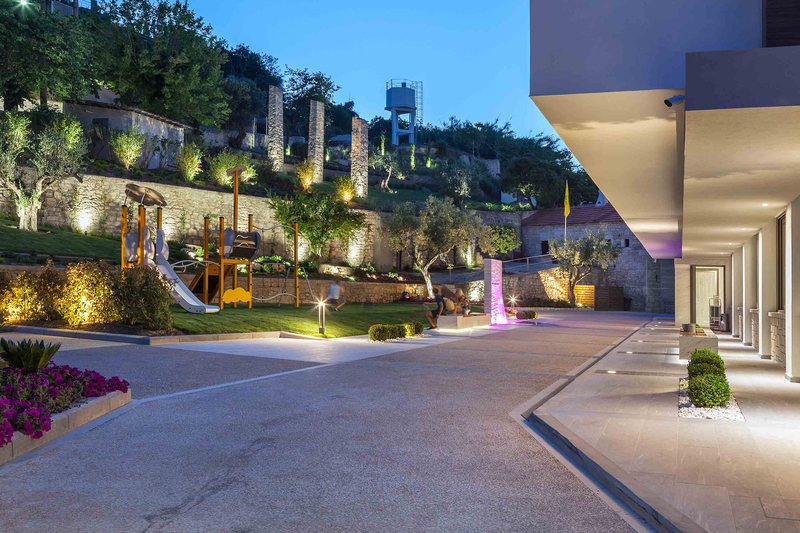 The main criteria of the facade redesign were the adaptation to the orientation of the building, maintaining undisturbed views to the sea and the garden and ensuring the privacy of the residents. 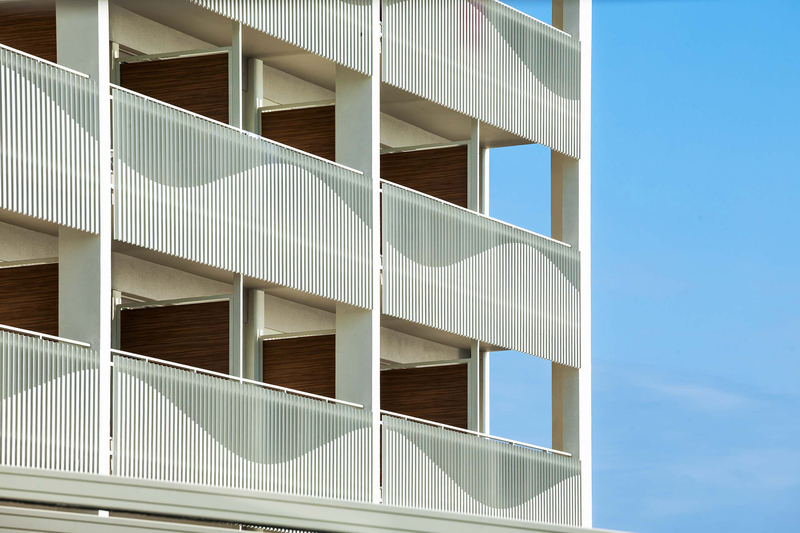 The objective was also to distract the typical grid of the existing facade and the repetition of the room unit. 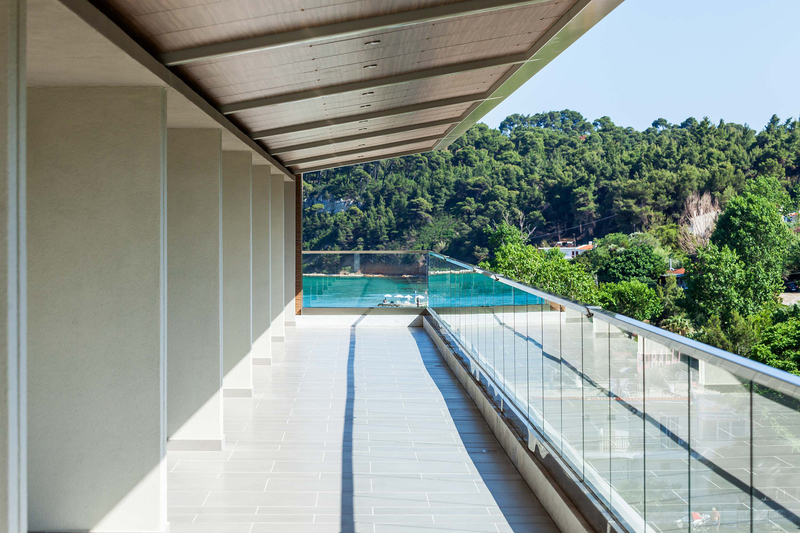 The main element of the facade is a metal structure, which acts as a railing for the room that is suspended from, as well as sunshade for the underlying room. 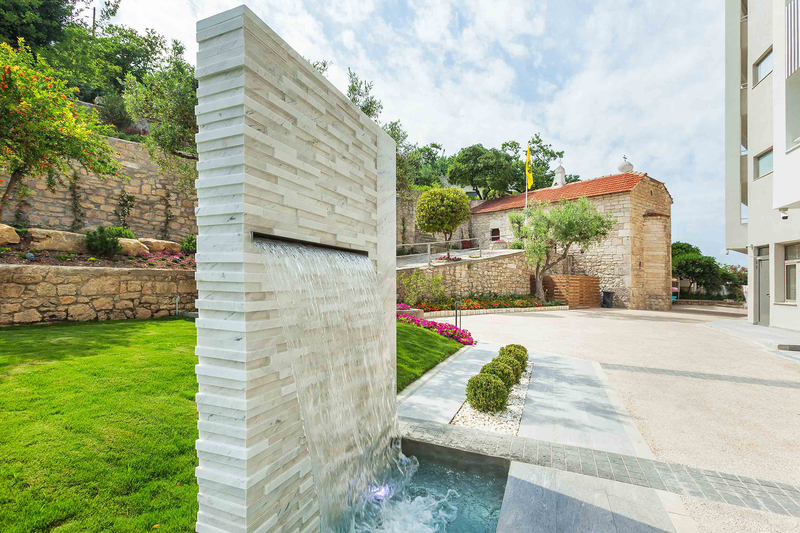 Light and bright, different in each room, creates an interesting composition inspired by the sea waves. 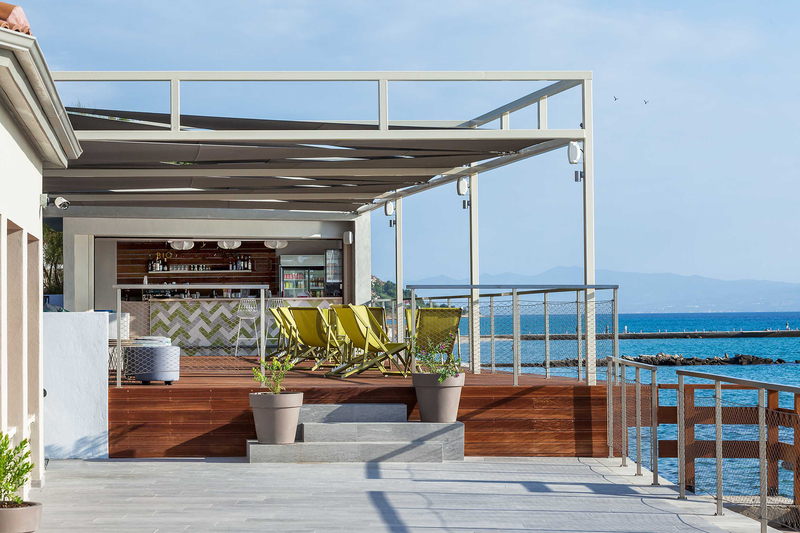 The facades are framed by white, clear surfaces and a wooden but light volume that embraces the building and acts as a roofing at the top level.